Princess Emeralda isn't exactly an ideal princess. Her laugh sounds like a donkey's bray rather than tinkling bells, she trips over her own feet more often than she gracefully curtsies, and she hates the young Prince Jorge whom her mother hopes she will marry. But if Emeralda ever thought to escape from her frustrating life, she never expected it to happen by turning into a frog! 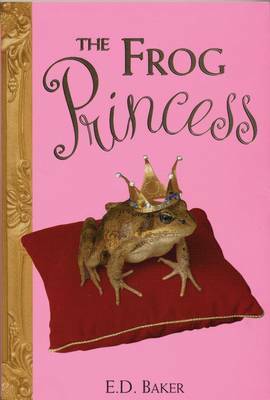 This is a deliciously original and fast-paced fairy tale that turns the tables on the traditional frog-prince story, featuring a fascinating and hilarious cast of characters and starring a witty and unforgettable - princess.